3 coats, Just Spotted the Lizard. 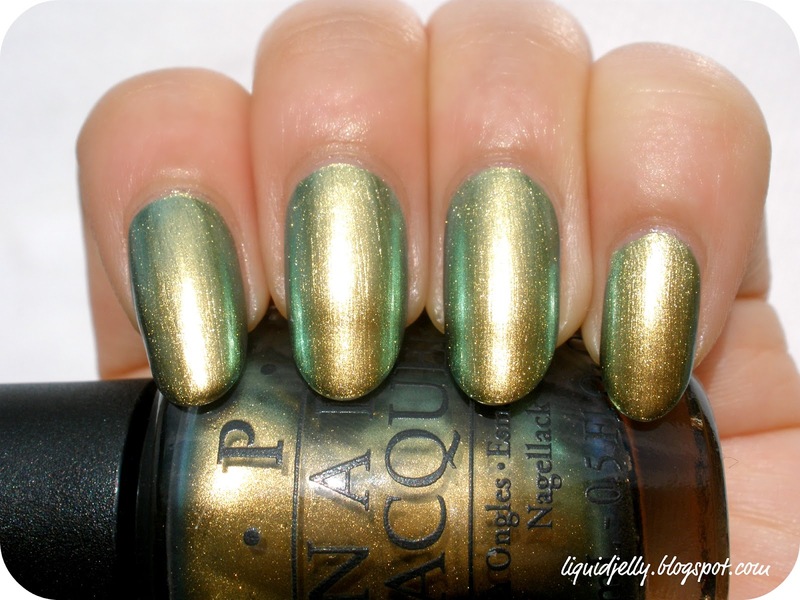 This one has been proclaimed as almost an exact dupe of Chanel Peridot. I've actually really wanted Peridot, but ended up not getting it because of the price point. There have been a few other dupes, but I couldn't find those. 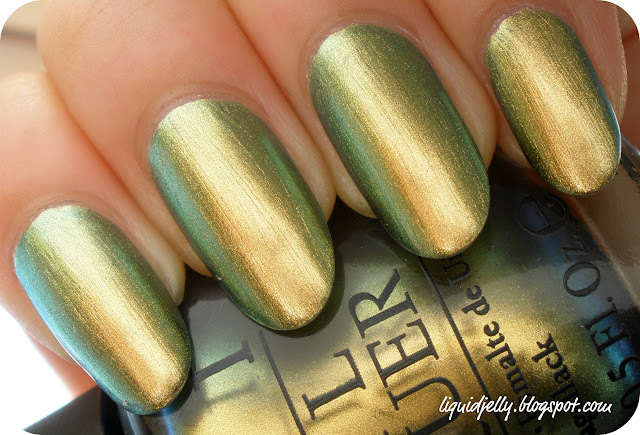 I was starting to regret not getting Peridot, when I saw OPI's promo pics for this. I literally squealed. 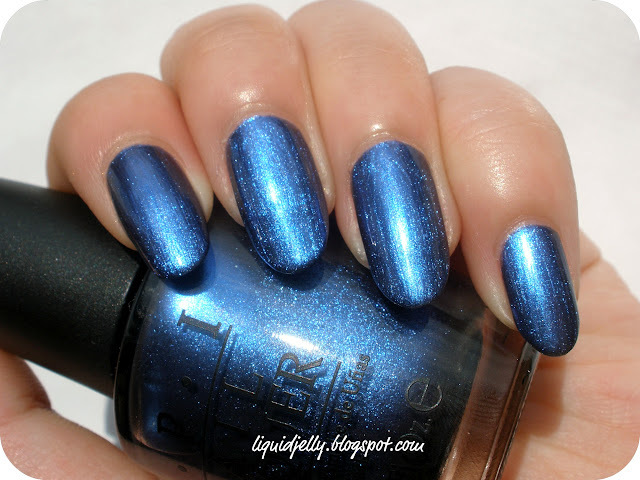 I'm so glad OPI put out their own rendition of this gorgeous color. This one needed the third coat. It's a bit brush-strokey. So my advice is to do two regular coats, then paint the third coat straight down the nail. This way the strokes are all aligned. I did notice that the brush strokes were less apparent once it was completely dry. It's also super shiny and reflective. It looks like I'm wearing liquid metal on my nails. I love it so much. In terms of color, it's a duochrome that shift from gold to green. Sometimes you can see a bit of blue on the edges of the green. 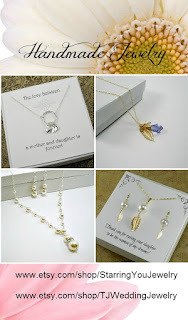 The gold tends to be a light cool gold, but depending on the light can looks warmer and darker. In my opinion, this one's the winner in the collection. If you don't own Chanel Peridot or any of its dupes yet, I would highly recommend getting this one. 3 coats, Into the Night. A frosty indigo shimmer. A bit on the sheer side, but it builds up nicely in three coats. Despite the frost, I actually like this color. It deviates from the dark blue shimmers we've been seeing. The color is a true indigo- like Crayola Indigo indigo. (Is it just me or do others think of colors in terms of Crayola colors...?) Depending on the light this one can lean more blue or a cooler indigo with a hint of purple. Since it's a frost, brush strokes can be a problem. I suggest doing another coat straight down the nail to lessen them. Overall, if you don't mind the finish, this is a nice take on blue. In the sun it really glows and reminds me of blue flames. 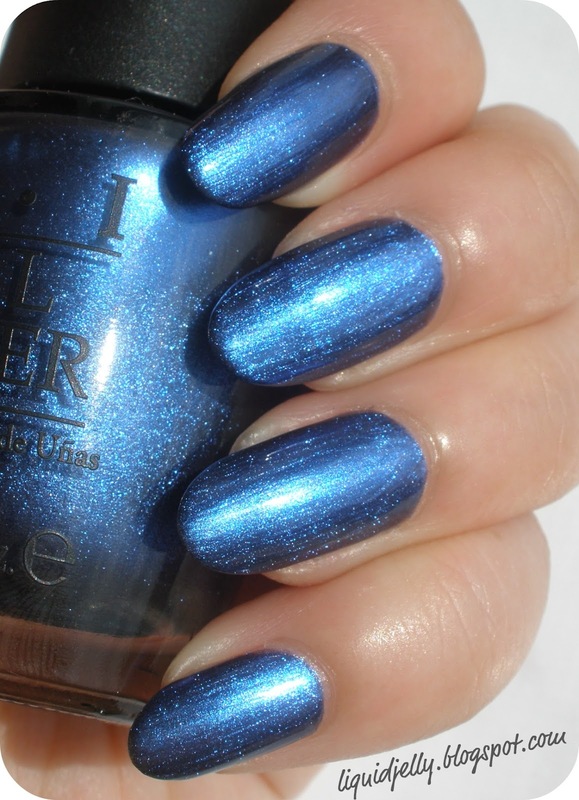 I'm currently wearing it on my nails with Finger Paints Asylum layered over it. 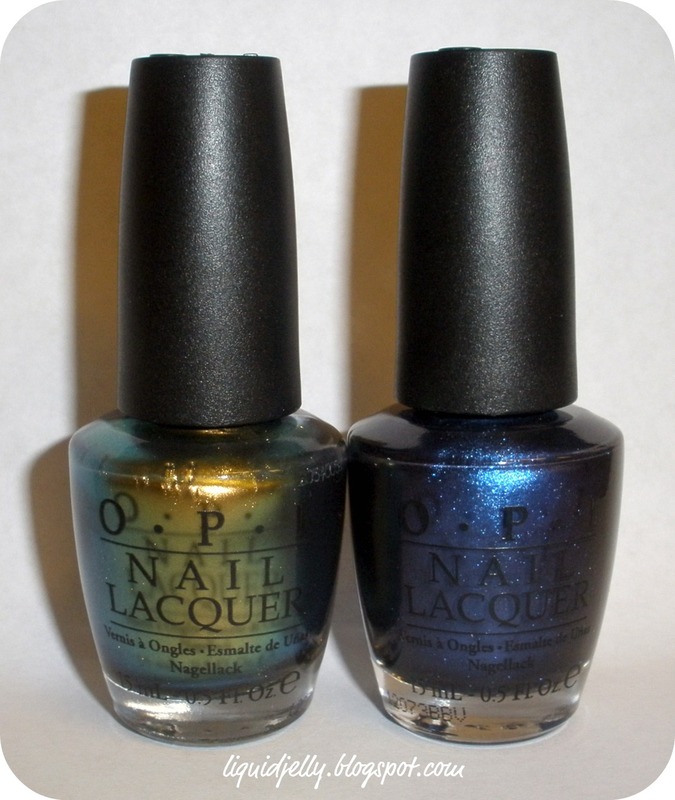 *The polishes reviewed in this post were sent to me for my honest review. Please view my Disclosure Policy for more info. I already have Chanel Péridot, so I won't get Just Spotted the Lizard... maybe Into the night! i love the blue!!! so vibrant! Just Spotted the Lizard is the one that interests me the most in the collection! Hmm.. I never really liked that type of nail polish, I normally just use those for sponging or stamping. 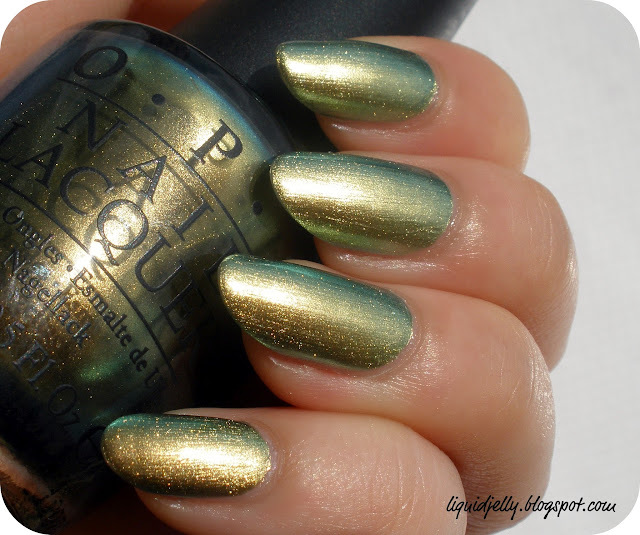 Love & Beauty Olive Gold...and a flakie? !